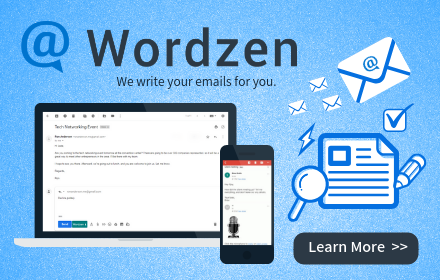 Wordzen’s audio feature allows users to record emails on their desktop or smartphone. With one click of a button, you can send your new audio file to one of our editors, who will write your email for you. See our explanation of desktop use here. Before you use this feature on your phone, please take a moment to review these tips for making a successful recording. Position. Hold the microphone about a fist’s distance from your mouth. On most phones, the mic is on the bottom, so point the base toward your mouth, and make sure not to cover it with your hand. Look toward the phone when you record emails, because if you shift your head away, your recording will become difficult for the editor to hear. Noise. Record from a quiet place — not a coffee shop, airport terminal, windy street corner, or moving vehicle (unless it is soundproofed). Volume. Speak at a normal volume, but set the volume of your phone or computer reasonably high. You may have turned it down for an earlier task, so push it up again when you want to record. Test. Before using Wordzen’s audio function, record a couple of sample messages and listen to them yourself. Judge how clearly your words might be understood by someone who can’t see you. The clearer your voice, the faster the editor can serve you. Mindfulness. Pay attention to your speech patterns. Do you race through people’s names and technical terms, mentioning them super-fast because they are familiar to you? Do you swallow the ends of your sentences, starting out strong and ending in a mumble? Or do you speak in a monotone or staccato that makes it difficult to hear the difference in your words? Speak Slowly. That’s right – relax, slow down, and speak as if you’re having a conversation with a friend, including taking natural pauses. When you speak slowly and clearly, you’ll be quickly understood by the editor and your message will be finished much sooner than if you talk too rapidly. This is especially important if English is your second language. A poor audio recording, or quick speech that’s difficult to understand, requires our editor to listen to your message multiple times to try to separate each word from the stream, and this adds considerable time to completing your email. Don’t multitask. Communication is something that deserves your full attention. In fact, the average recorded email is less than a minute, so when you record emails, you can afford to give them your full attention for those 35 seconds. “Bill, after thinking about this I’m really not feeling good about going ahead with the architect’s drawings at this stage. I think it would be better if we meet with the accountant again, then run the new numbers, then have a meeting with all of the stakeholders to look at all the numbers again and make sure everyone agrees. After we do that, then I think we’ll be ready to get back to the architect and start again. My apologies for the delay in getting back to you while I was away. I’ve given this some thought, and I’m not comfortable going forward with the architect’s drawings right now. Before we move ahead, it would be best to meet with the accountant to run the most recent numbers. Then, let’s meet with all the stakeholders to review the costs again and make sure everyone is in agreement. Once we do that, then we’ll be ready to re-engage the architect and restart the project. Be patient. While recording your emails saves you time on the front end, our team of professional editors will take the amount of time required to produce the best message for you. Response time depends on the quality and length of your audio recording, but generally, your audio message will be edited and returned to you within 15 to 30 minutes. If you prefer faster editing, you can type your draft message, and our editors will review and improve it. Typically, we can edit typed messages about two or three times faster than audio messages, often completing and returning them to you within ten minutes. For all messages, exact times depend on the length of your email and the volume of messages in progress at the time you submit yours. We do our best to anticipate volume, and we staff accordingly. Do you have questions or comments about Wordzen? Please write to contact@wordzen.com.